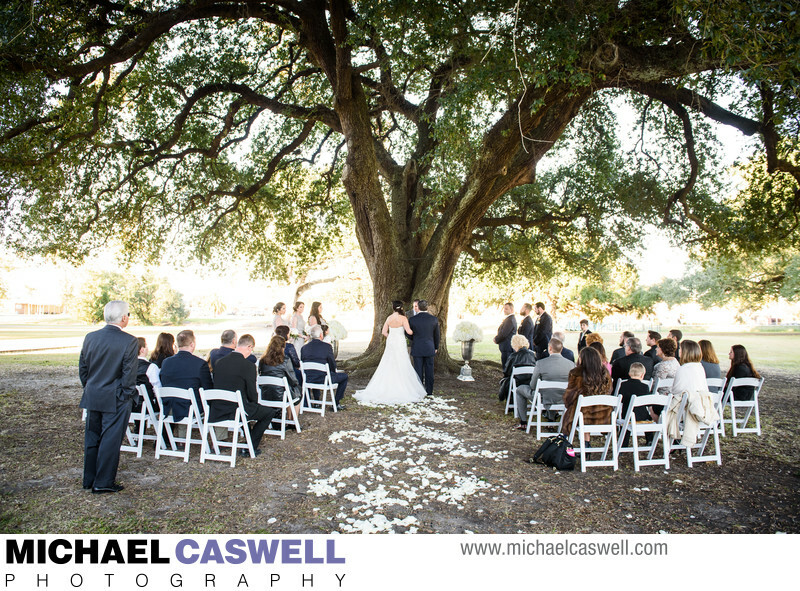 For my final event this year of the always busy period of late-September through mid-November, I headed down to Houma Louisiana for this couple's wedding at Southdown Plantation, which took place on a beautifully crisp Autumn afternoon and evening. The bride and her bridesmaids, with the help of hair and makeup artist Dustin McElroy, got ready at the couple’s spacious home, which was located right down the street from the venue. 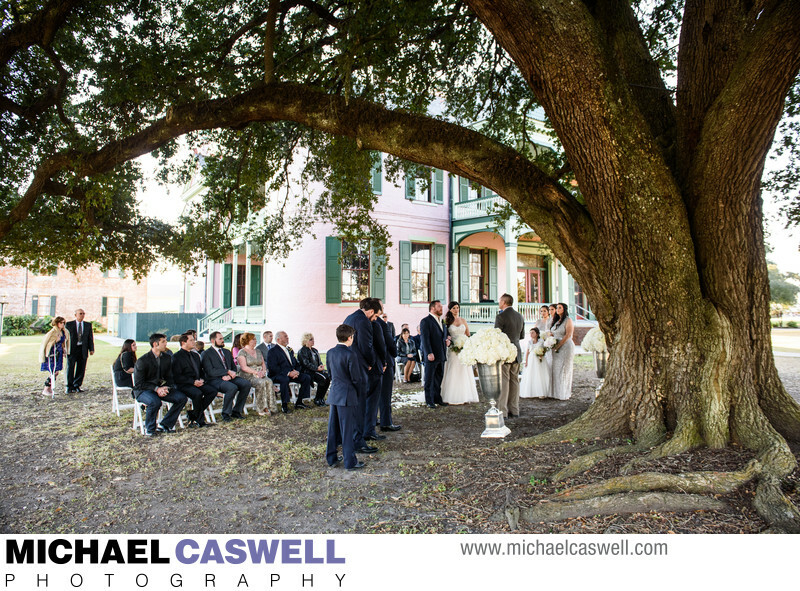 The couple chose to have an intimate ceremony, with only about 25 family members and close friends in attendance, exchanging vows under the large and beautiful oak tree at the front of the historic home, with Brent Johns officating. Many more guests were invited to the fabulous reception, which took place in the adjacent Buquet Pavilion. The pavilion is a very spacious and nice looking structure, made even more so after being beautifully decorated by Nick Hebert and his skilled team. Nick also served as the wedding coordinator, and was a pleasure to work with. Bay Area Catering of Thibodaux provided the delicious and wide variety of food, while Caro’s Cakes crafted the beautiful wedding cake and groom’s cake. NOLA Dukes provided the entertainment, with a great mix of jazz and R&B standards as well as current music. Southdown Plantation was established in 1828 and soon began growing sugar cane, later constructing a sugar mill to process the crop on-site into its finished product. The home was built in 1858, and was originally just a single story, with the second story and other improvements being added about 35 years later. In the 1970s the mill shut down, and the home along with a portion of land were donated to the Terrebonne Historical and Cultural Society, who painstakingly restored the house and later opened it as a museum. The distinctive pink and green colors were actually original to the late 1800s at the time when second story addition was built, which was discovered while the building was being restored. 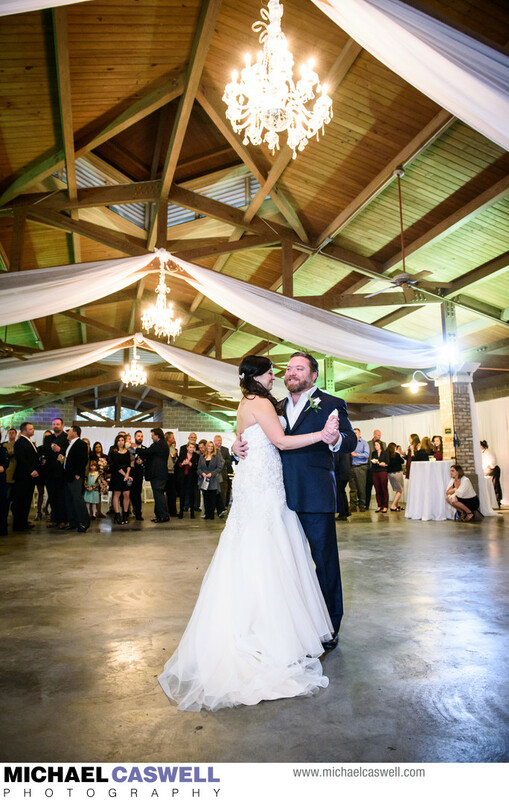 Now, in addition to being home to an assortment of fascinating cultural and industrial exhibits, the facility can host smaller weddings and other events inside the main house, or larger outdoor gatherings on the grounds or in the nearby Buquet Pavilion. Location: 1208 Museum Drive, Houma, LA 70360.